Strong from the inside, out. Time is never on your side in mining operations that involve down-hole blasting. You labor against the possibility that fractured layers of rock will collapse the hole. Sonotube BlastMaster™ blasting tubes help holes maintain their integrity in dry conditions, eliminating all kinds of drilling issues. Sonoco has engineered new BlastMaster tubes to overcome problems that undermine job site productivity. Sonoco’s proprietary engineered design makes these tubes strong from the inside out. 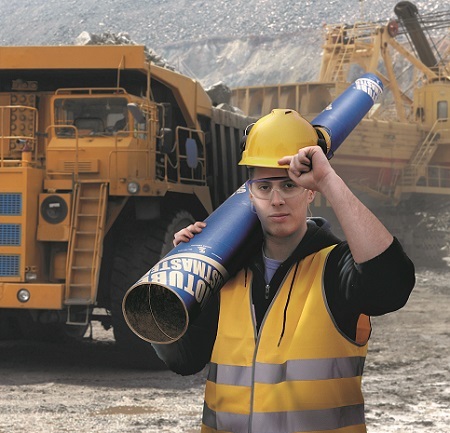 Cost-effective and easy to use, BlastMaster blasting tubes deliver strength in dry applications. BlastMaster tubes for dry hole blasting never create a waxy mess, and can remain in place for five to ten days, providing the flexibility your construction schedule demands.